Hey guys! I hope you are having a fabulous week so far! I have no complaints about mine. Here’s to us all having a great weekend! Great bathroom makeover from Eating in the Shower. I love the red and the moulding! 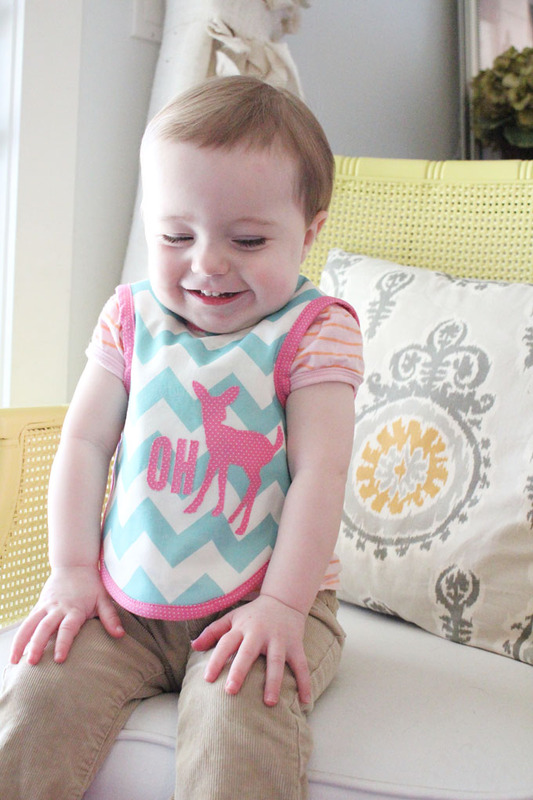 What a cute bib from The Caldwell Project. It has little arm holes. Oh deer. Wait ’til Your Father Gets Home made little mason jar sewing kits. These would be such cute gifts. I love this industrial curtain rod from Boxy Colonial. I laughed so hard when I saw this fish pencil case and tutorial from Lindapendante Dreams. So fun. Love, Pomegranate House shares a homemade laundry detergent recipe. I am now inspired enough that I might actually make some. Another amazing bathroom makeover from Southern State of Mind. I just love everything about this space. It’s perfect. 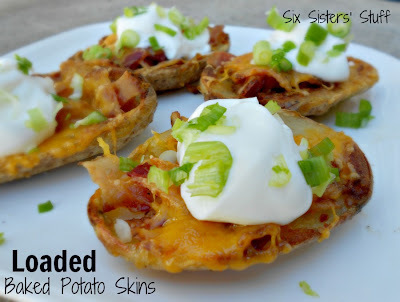 These loaded baked potato skins from Six Sisters’ Stuff look so delish that I want to reach into the screen and eat one right now. Little House in the Big D renovated their old outdated kitchen. It’s lookin’ so fly now. 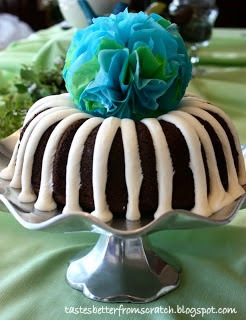 Tastes Better From Scratch shares how to make a knock-off Nothing Bundt Cake cake. Yum! 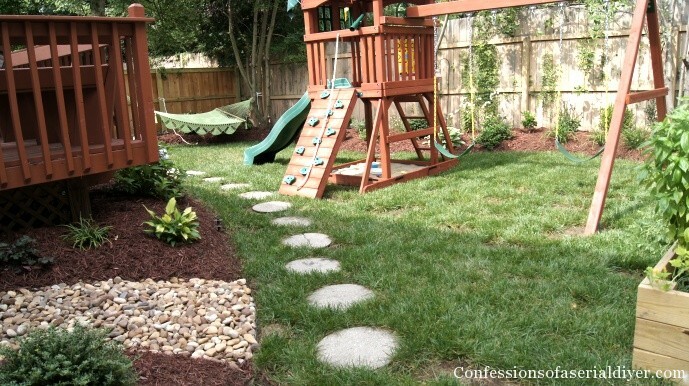 Holy backyard makeover. Confessions of a Serial Do-It-Yourselfer‘s before and afters will blow your mind. 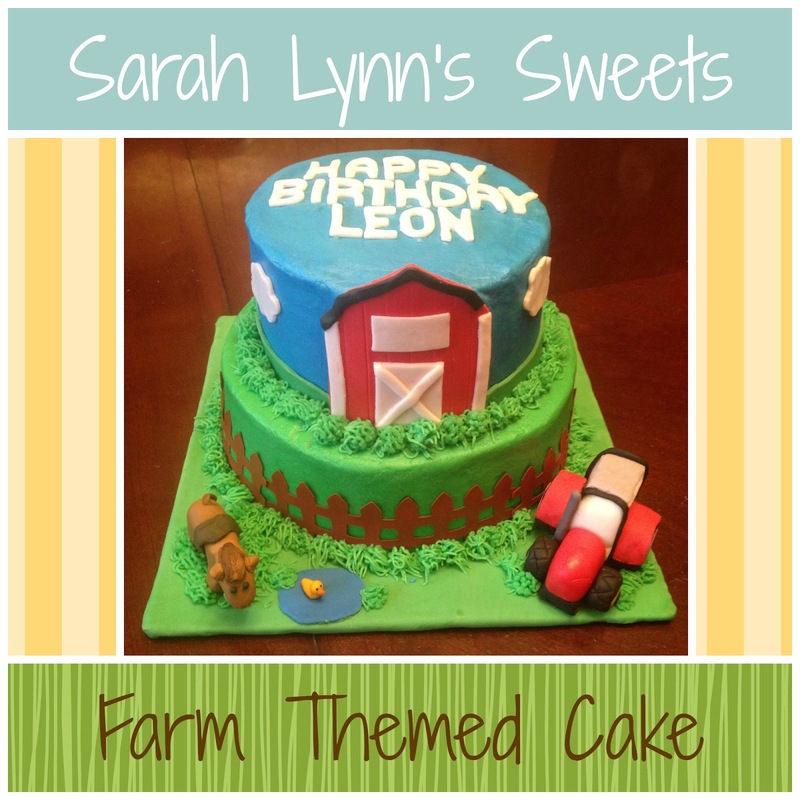 Sarah Lynn’s Sweets made the cutest little farm cake. I love it. Thanks for hosting Allison! I love those features, the backyard and kitchen makeovers are amazing! Thank you for hosting this party, Allison! And you have a wonderful week too! Thanks for hosting such a great party each week! Have a great rest of the week! Thanks so much for hosting, Allison. I hope all is well. Have a great week. Allison, what yummy things in this week’s party! Thank you! Thank you so much for hosting! I hope you’re having a wonderful week! So much to see! Thanks for hosting!! Thank you for hosting and thanks SO much for featuring our bathroom makeover! What a nice surprise. I’m in love with that farm cake too! Thanks so much for including my farm cake in your features! 🙂 I always enjoy linking up to your party and checking out everyone else’s ideas, there’s always some great posts! Thanks for hosting! Thanks for hosting! I’m in awe of the Big Splash bathroom. Too cute! Thanks Alison for hosting! Always fun to be a part AND to see all the goodies! 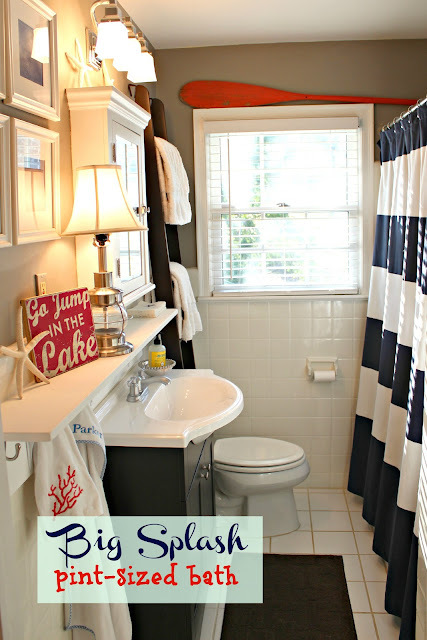 Thanks for hosting and for featuring my “Big Splash for a Pint Size Bath” makeover! It is so nice to know that after all of these years of gaining so much inspiration from other bloggers, I am now returning the favor! Have a great day! Thank you for hosting! Lots of great links already! Thanks so much for the party! So many great ideas. Enjoy your day! Thanks for hosting! I clicked on several sites here and they have been bookmarked for future reading! Thanks so much for the awesome feature! We feel so honored and we’re in good company of some really great ideas! We love your blog so much! Thanks for hosting! This is one of my favorite link parties! Thanks for hosting Allison! Have a great weekend!